This paper describes MiddleMan, a collection of coop-erating proxy servers connected by a local area network (LAN). MiddleMan differs from majority of existing proxy research in that it concentrates exclusively on video. Other approaches are optimized for HTML documents and images. MiddleMan offers several advantages. By caching videos near clients, MiddleMan reduces start-up delays and the possibility of adverse Internet conditions disrupting video playback. Additionally, MiddleMan reduces server load by intercepting a large fraction of server accesses and can easily scale to a large number of users and web video content. It can also be extended to provide other services such as transcoding. Download a copy of this paper in either: Compressed PostScript (433K) - or - PDF (106K) format. 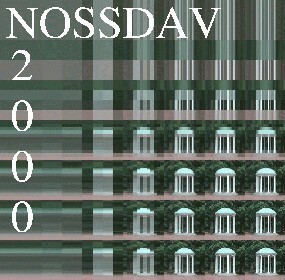 Back to the NOSSDAV 2000 On-Line Proceedings.